Celtic Rathskallions » Day 4 : On the way to Cape Breton! Day 4 : On the way to Cape Breton! A leisurely morning start, including a long morning run exploring the downtown and outskirts of Stellarton, NS. Then a drizzly on-and-off foggy drive up to Cheticamp, NS. 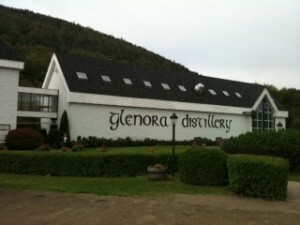 We stopped at the Glenora Distillery en route for a short tour…the sun then came out and we had a clear few hours of driving along the beginning of the Cabot Trail drive. 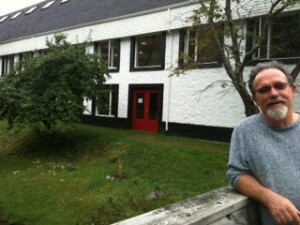 Settled into Cheticamp and had a great seafood dinner complete with the best homemade coconut pie EVER. Yum! !